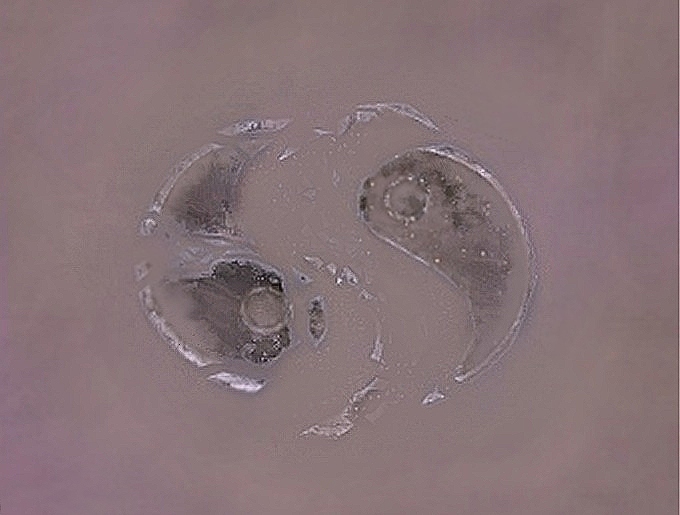 The image is the yin yang symbol, broken, decayed, and separated, surrounded by sand. It was made in PaintShop Pro 7, starting off with a photo of a yin yang necklace. The interpretation would be the separation of two, disconnect, broken apart.